Industrial stakeholders are pushing to have Carbon Capture and Utilisation (CCU) for synthetic fossil fuel production recognised as a renewable technology. This would allow it to be included into the EU Renewable Energy Directive (RED) Doing so would forestall the shift from fossil to renewable energy, and could undermine the climate policy of the European Union. Diluting renewable energy policy to encourage and reward the use of CO2 emitting fuels such as synthetic natural gas or synthetic methanol, will reduce the use of true deep decarbonisation technologies like actual renewables and electro-mobility. Bellona considers a strong European low-carbon industrial sector essential to the well-being of future generations. However, if mechanisms meant to mitigate the rise of global temperature are hijacked by rent seekers, the well-being of future generations is under threat. At a co-hosted Commission and industry CCU event in Brussels on 26 October 2016, Bellona Europa launched a new policy brief, highlighting the risks of including CCU in the EU Emissions Trading Scheme and the Renewable Energy Directive of the EU. The idea behind CCU for synthetic fossil fuel production, also known as ‘power to gas’ is that, instead of dumping CO2 directly into the atmosphere, the CO2 is captured and sold to other industrial actors as feedstock for synthetic fossil fuels. 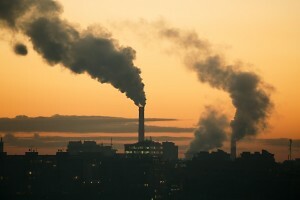 The CO2 within these manufactured fossil fuels will be released into the atmosphere when burned.. Some methods of manufacturing products with captured industrial CO2, such as mineralisation, prevent the emission of CO2 into the atmosphere. However, other products, such as synthetic fuels and chemicals, merely delay the emission thereof. The wholesale rebranding of CCU as a ‘renewable’ solution could render the goals of the Paris Agreement unattainable. As EU state aid rules make direct subsidies to industry difficult except when justified by environment and climate action, struggling European industries naturally seek to benefit from climate related instruments. This is not in itself negative, but authorities must ensure safeguards against abuse. Having CCU recognised as a renewable technology would allow European industry to receive subsidies to produce CO2and have that CO2 released in non-ETS sectors such as transport. This would amount to CO2-laundering with the potential to undermine the Paris Agreement. 1) There is a high risk that CO2-laundering would occur. As industrial emissions are ‘removed’ from the Emissions Trading Scheme by putting the carbon into, for instance, transport fuels, the carbon would be emitted outside the system. The CO2 originally produced by an actor inside the ETS is thus emitted in a sector outside of it, potentially not being accounted for by the ETS. 2) It would render the renewable policy of the EU toward 2030 void. If CO2-emitting synthetic fossil fuels would be recognised as renewable, only because they were produced with renewable electricity (with huge energy loss), efforts to increase the uptake of renewable energy are watered down. Moreover, the clean-burning hydrogen that would be created with renewable electricity is wasted by polluting it with captured industrial CO2. 3) The EU biofuels policy, which is largely regarded as being ineffective already, could be rendered even more unhelpful as fuels produced with fossil CO2 from industry will be viewed as equal to biofuels derived from renewable biomass. 4) Public subsidies meant to promote renewable energy technologies in EU Member States will be used on CCU technologies that are not renewable. Although this will clearly benefit European industries by making the CO2 market profitable, the limited financial resources for renewable energy and real climate solutions will be wasted. 5) Large amounts of renewable energy are needed to produce hydrogen, which is added to captured industrial CO2 in order to make synthetic fuels for the transport sector. The clean hydrogen is thus fossilised. This will essentially lock society in with massive emissions in the transport sector that cannot easily be dealt with. This entails a massively wasteful, inefficient value chain draining renewable electricity which could be used for zero-emissions hydrogen-based transport, or even better, for electro-mobility directly. 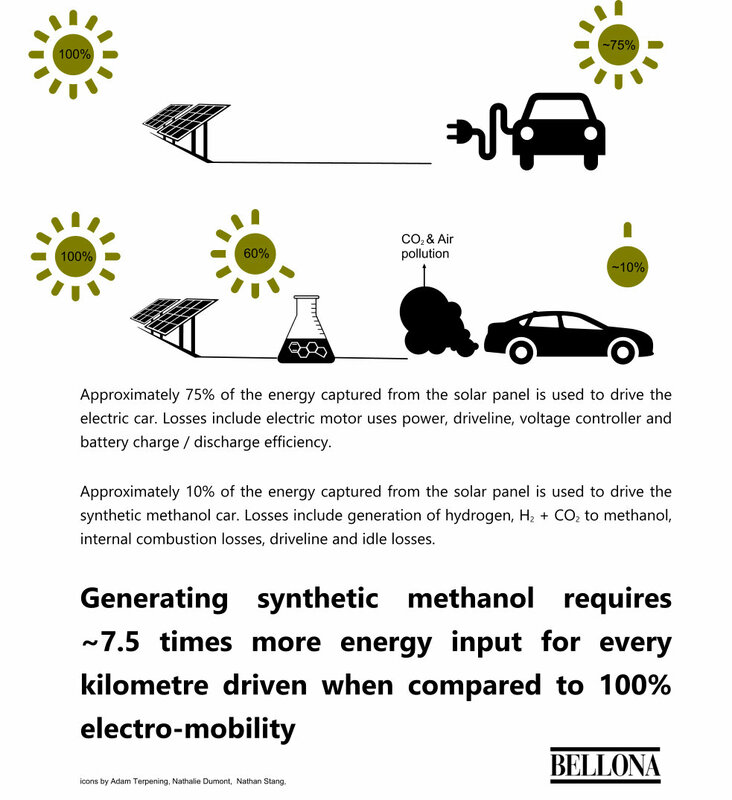 Generating synthetic methanol requires ~7.5 times more energy input for every kilometre driven when compared to 100% electro mobility, and perpetuities air pollutant and CO2 emissions (see illustration below). It is not unexpected that industrial stakeholders and certain research institutes with a strong client base in chemical and traditional (fossil-fuelled) automotive industries now attempt to have CCU included in the Renewable Energy Directive. What is more surprising, however, is that some environmental NGOs, such as Greenpeace Germany, seem to agree that recognising CCU as a renewable solution is a good idea from a climate perspective. Organisations that believe that “delayed-emission CCU” is an effective tool to reach significant CO2 cuts are not merely incorrect, but they might actively be undermining policies promoting technologies that form real climate solutions such as the actual renewables and energy efficiency we all agree are needed. At the mentioned Commission/industry CCU event in Brussels, DG ENER Director for Renewables, Research and Innovation Marie Donnelly stated that CCU will be an element in the new Renewable Energy Directive, expected at the end of November. Policy makers should not give in to pressures from stakeholders seeking to undermine the system devised to solve our climate challenges in exchange for short-term benefits. Doing so would set the climate policy of the EU back to the extent that the goals of the Paris Agreement are impossible to attain. It will dismantle the very system that was meant to solve one of the most pressing challenges for generations to come. Instead, industries and policy makers ought to work together to continue the deployment large-scale electro-mobility and the direct use of clean hydrogen in industry, homes and transport. The EU should actively support its strategic industries in the low-carbon transition, but this must be done through real integration of industrial and climate policies. This avenue would allow us to reach the objectives of the Paris Agreement and simultaneously boost industrial employment and welfare. Europe is already moving on from the combustion engine for transport. Electro-mobility is the future, which the recent decision by the German Bundesrat to ban fossil-fuel cars by 2030 clearly shows. This very helpful Bundesrat decision would be directly contradicted and undermined by a move to create a massively subsidised synthetic fossil fuels industry. This serves to highlight the urgent need to put European industrial policies in line with the commitments under the Paris Agreement.